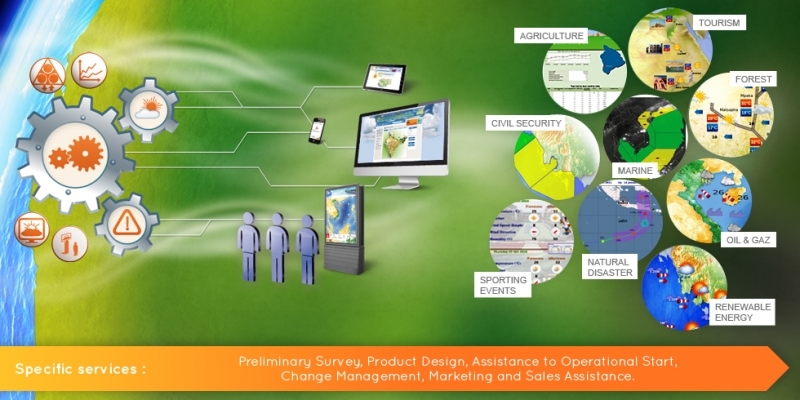 From understanding your end-users' needs to providing them with customized meteorological products, MFI assists you all along your PWS approach. Our goal is to enable you enhancing your own service capacity in order to be in position of fulfilling efficiently the growing expectations of general public and major economic sectors. MFI's PWS approach relies on a specific system developed by our experts in order to provide a state-of-the-art solution: MeteoFactory®. 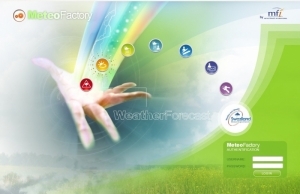 MeteoFactory® is a modular, user-friendly, web-based PWS system dedicated to designing, generating and sending personalized meteorological products to end-users. To learn more about this solution and its numerous functionalities, please visit the MeteoFactory®'s webpage. To complete its PWS/EWS offer, MFI also proposes several public display systems such as VisuMet or TVMet that will enable you to set-up and broadcast friendly meteorological animations. Besides, most of MFI's systems, in particular Clisys for all that has to do with climate services, can contribute to set up efficient PWS approaches. -	Any type of weather reports in different formats: "ready-to-print" for newspapers, SMS / MMS, fax, e-mail, public display, websites, dedicated extranet sites, etc.